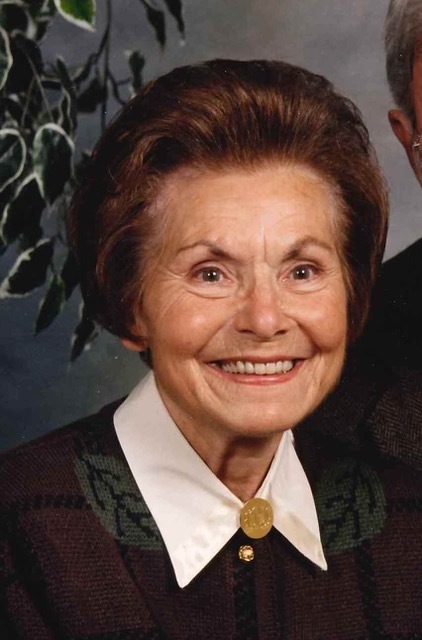 Aurelie Maria “Bobbie” Russo, 90, a resident of the Rouse Warren County Home and formerly of Warren, PA., died at her residence Monday morning, November 19, 2018. She was born August 16, 1928 in Kaufbeuren, Germany, daughter of Alois and Maria Guther Hoebel. She arrived in the United States in 1948. Bobby was employed with the former Redding & Wrenn as a bookkeeper for 25 years, retiring in 1982. She loved walking and was seen walking in several neighborhoods. She was a member of Holy Redeemer R.C. Church, where she was a former usher and volunteer worker at the church center. She was also a volunteer with the Warren Salvation Army. She is survived by her children, Richard H. White and wife, Barbara of Warren, PA., Gerald V. White and wife, Cheryl of Spartansburg, S.C., Barbara M. Nuhfer and husband, Timothy of Reading, PA., 5 Grandchildren – Erin Cochran (Ryan), Kara White, Danielle Scroble (Jordan), Matthew Nuhfer (Judith), Nikki White, 5 Great Grandchildren – Sydnie & Carter Cochran, Ruffin & Nolan Nuhfer, Lucas Scroble, several nieces and nephews. In addition to her parents, she was preceded in death by her husband of 44 years, Carl T. Russo whom she married June 9, 1973 at Holy Redeemer R.C. Church, who died October 30, 2017, 2 Brothers – Anton Hoebel who died in World War II in 1944, Richard Hoebel, 1 Sister – Aloisia Hobel. There will be no public visitation hours observed. A Mass of Christian Burial will be conducted at Holy Redeemer R.C. Church, 11 Russell Street, Warren, PA., on Saturday, November 24, 2018 at 11:00 A.M. with Fr. James Gutting, Pastor, officiating. Entombment will be in the Mausoleum of the Ascension in St. Joseph R.C. Cemetery. Those wishing to place memorials may do so through Rouse. Warren County Home Patient Activities Fund, 701 Rouse Avenue, Youngsville, PA. 16371 or Holy Redeemer Church Building Center or a charity of one’s choice. E-mail condolences may be sent by visiting www.lewisfuneralhomeinc.com The Donald E. Lewis Funeral Home, Inc. has been entrusted with funeral arrangements. Dear Richard, Barbara and family, My deepest condolences on the loss of your beloved Mom.